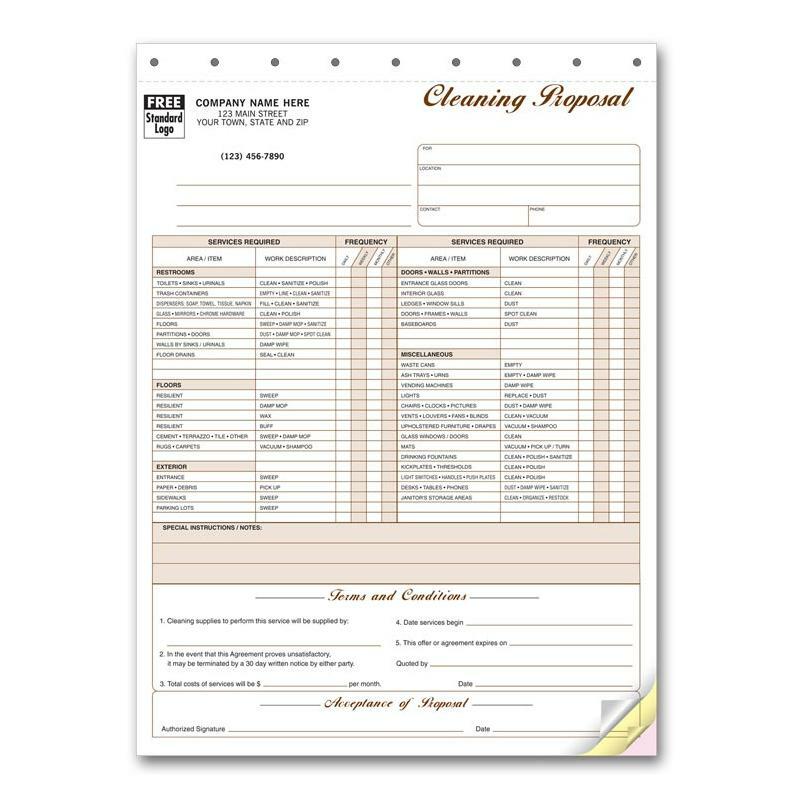 Equip your new cleaning business with all the necessary forms to ensure a professional and efficient service. 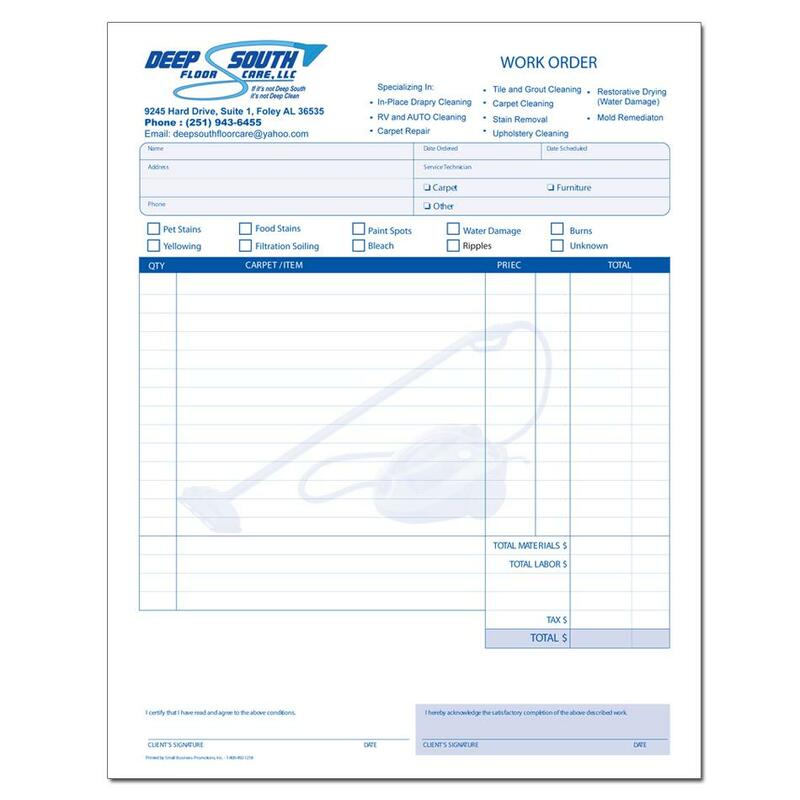 We have compiled a set of work orders, proposals, invoices, receipts, & envelopes to help you get up and running. 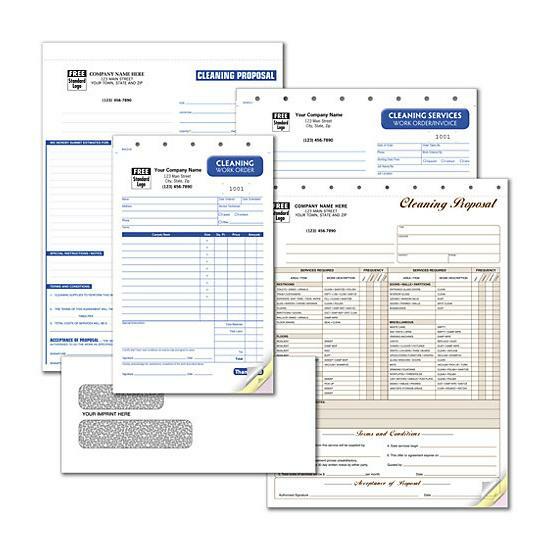 These forms are personalized and imprinted with your logo for branding purposes. 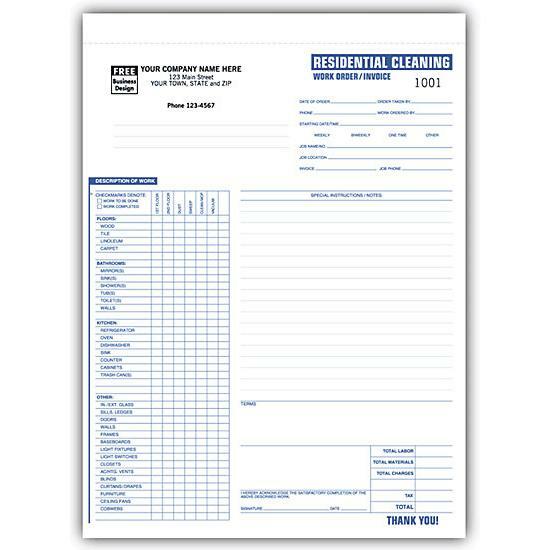 It also saves you money when you purchase all these forms as a package as oppose to ordering them individually.